ECI is the leading renewable energy co-op body in Ireland. 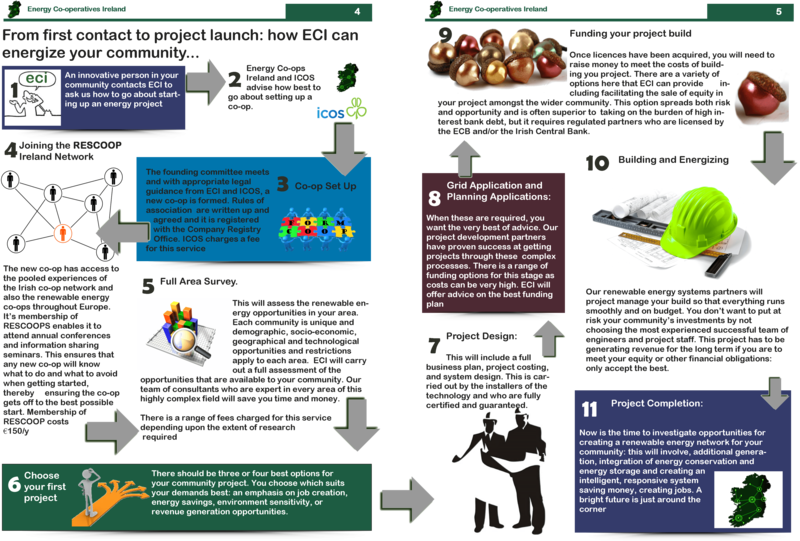 It has facilitated the establishment of five co-ops in Ireland binging them through each stage of their development putting them on a firm foundation, and giving it access to an EU-wide network of successful co-operatives in the sector. 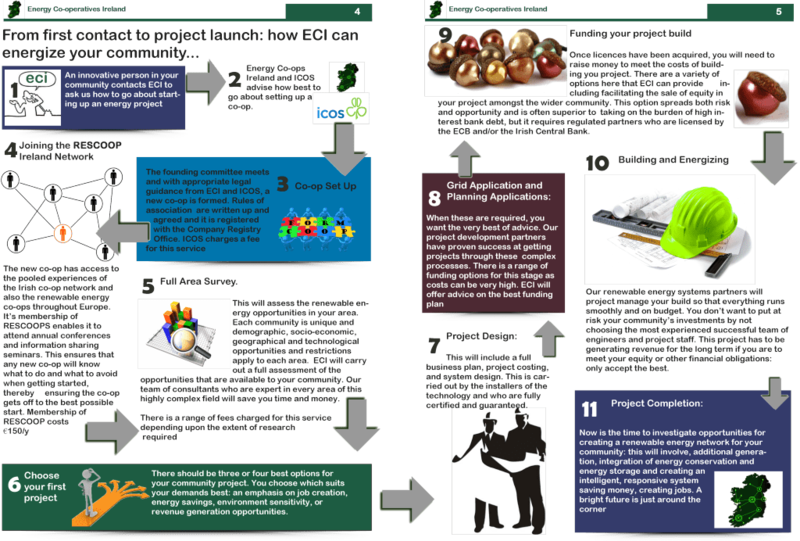 ECI supports community-based renewable energy co-operatives at every stage of their development. ECI does not currently charge fees for these services.